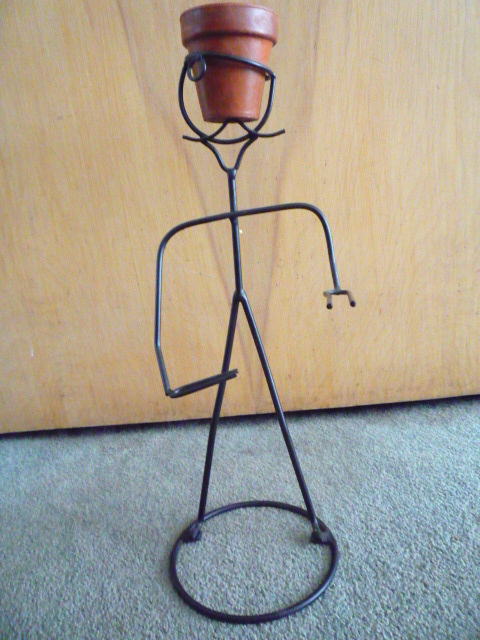 Metal plant man. 16 ins tall. 2 1/2 in pot included. Excellent condition.